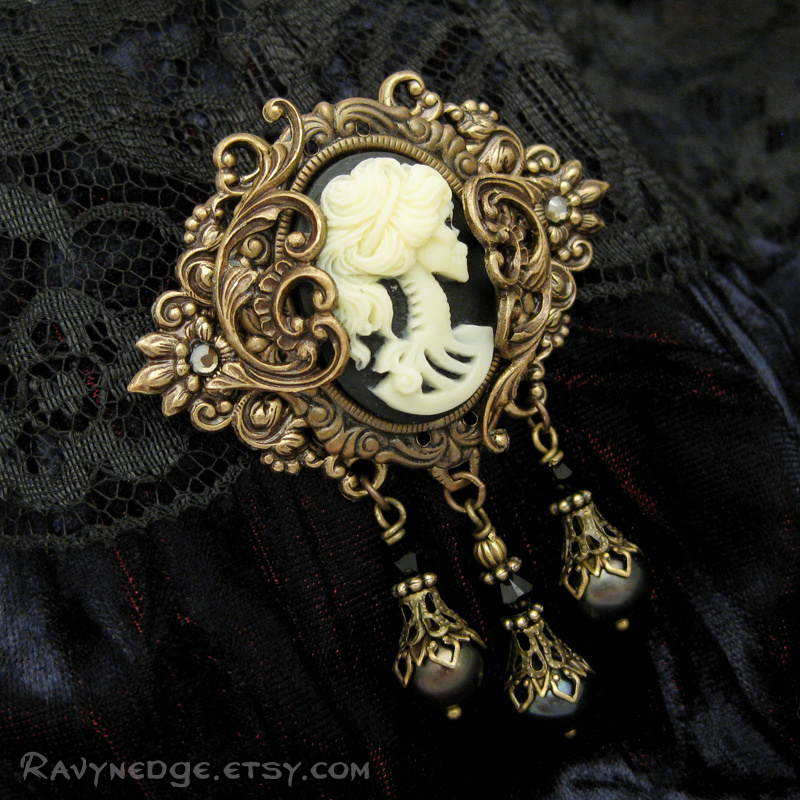 Wayward Soul Broach - Skull Cameo Broach or Pendant in Brass by RavynEdge. 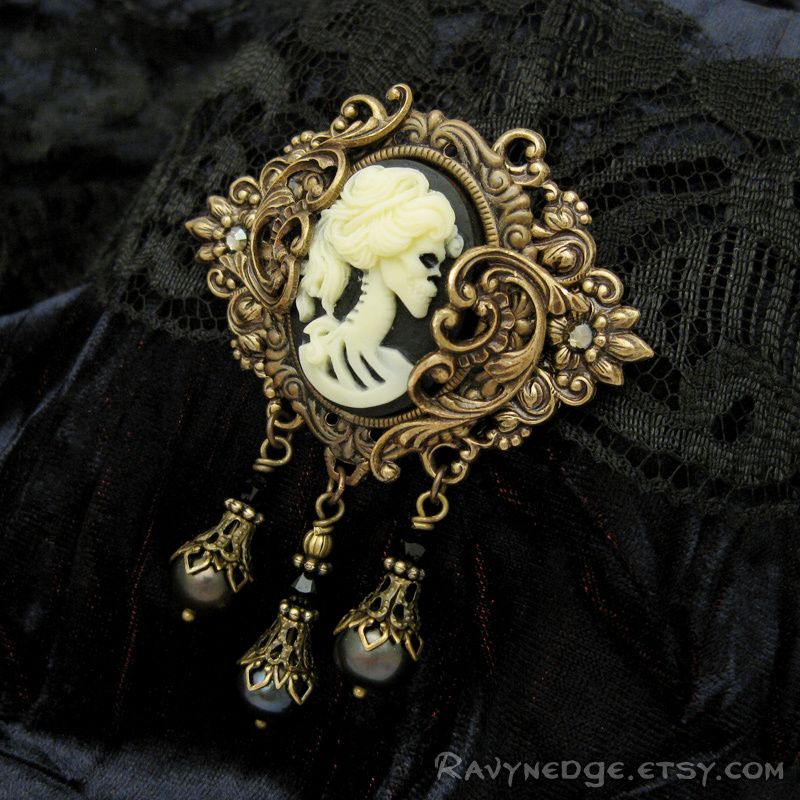 In vintage style, the most amazing cameo of a skeleton woman is encased in flourishes of filigree and framed by two jonquil satin Swarovski crystals on either side. 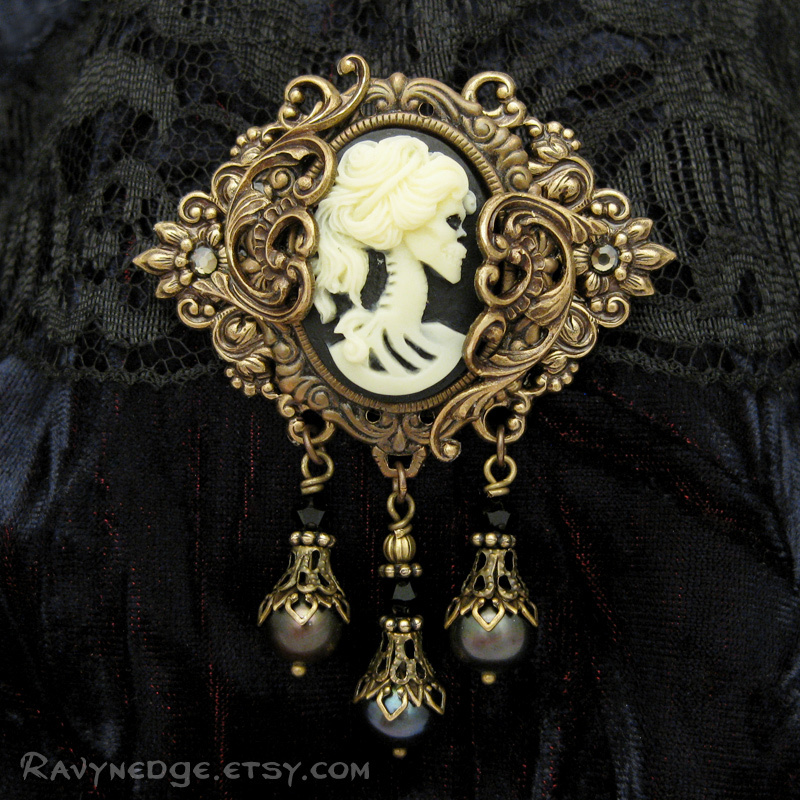 The three drops of peacock colored freshwater pearls are topped with brass bead caps, beads, and Swarovski bicones. 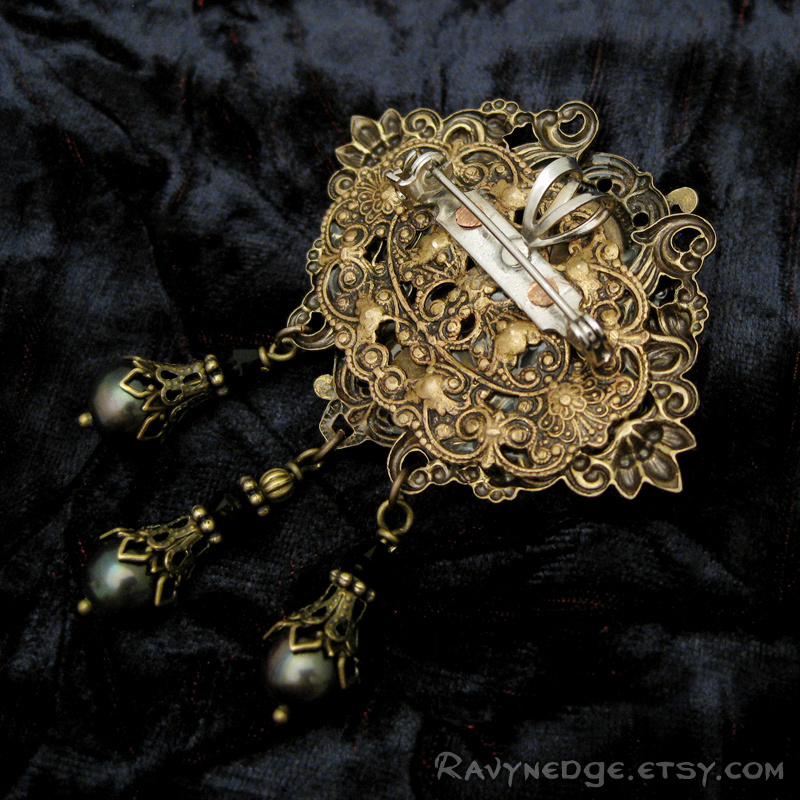 The silver plated brass pin cluch has a bail attached allowing the broach to be worn on a chain as a pendant! It is securely fastened to the back with copper rivets. Measures approximately 2.7in (68mm) from the top of the broach to the bottom of the longest drop and 2.05in (52mm) at its widest point.